The SC series product line meets the highest standards of current quality management standards with a focus on process safety and hygienic design. 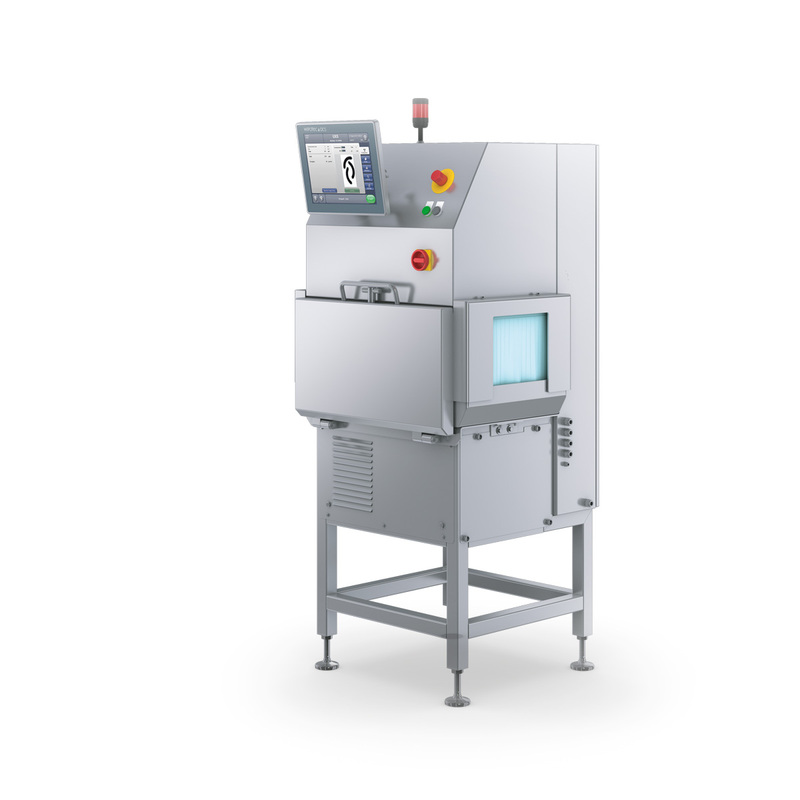 A high performance machine vision camera outfitted with HD-TDI technology provides high resolution and crisp X-ray images, providing the ideal configuration for our image processing software developed inhouse. The minimal false rejection rate combines with the maximum detection accuracy to provide the greatest safety. The brain of the scanner is its sensor. The combination of a sensitive HD-TDI camera detector paired with the metal ceramic tube generates an X-ray image of an extremely high resolution. Each x-ray machine is outfitted with a complete software package. 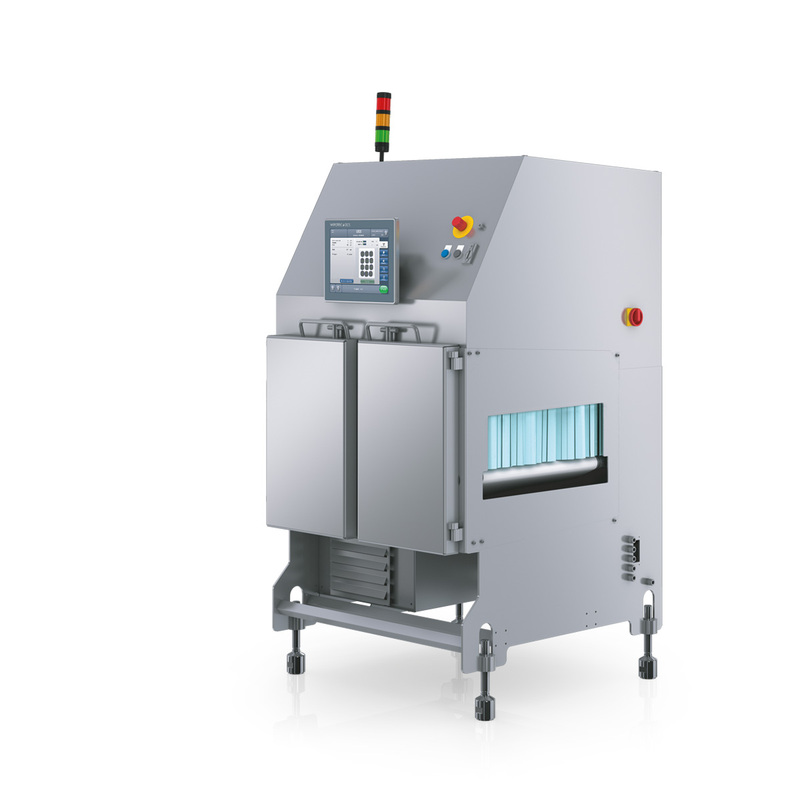 The x-ray machine is network-enabled and is designed to inspect for foreign body detection, shape, quantity / count, completeness, and fill level control. Each completed scan is captured and is available in both our single line and multiple line (multi-track) system configurations. 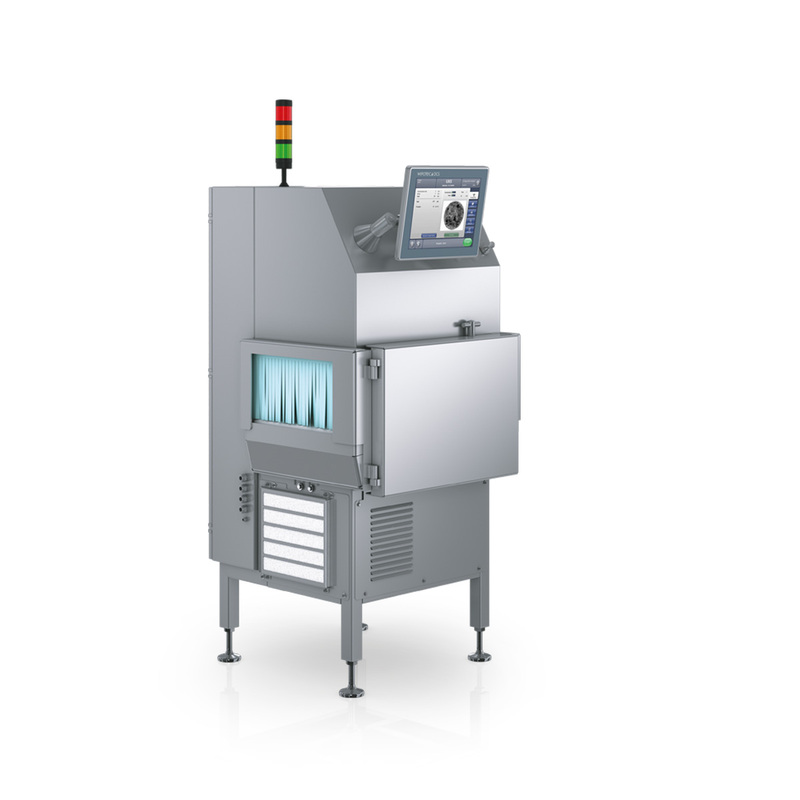 All of the X-ray inspection share a common interface that is easy to use and familiar amongst the operation team regardless of what model you may deploy on each production line. Similar to our in motion checkweighers. Each system includes a 15” colour screen (TFT) that is touchscreen enabled. The SC series is designed to meet IP65 protection and manufactured of full stainless steel construction, employing a a balcony design and sloped surfaces that, when used together with the C-shaped and weldless product chamber allow for thorough cleaning and sanitation quickly and easily. All scanners meet the most stringent standards of hygiene.